Born in a small fishing village near Sydney, Nova Scotia, his family moved to Winnipeg when he was a small boy. He attended Somerset School, Greenway School, Isaac Brock School, and Kelvin High School, and studied one year at the University of Manitoba. He joined the Canadian Army in 1923, leaving three years later to join the Winnipeg Police Department. He rejoined the Army during the Second World War, in 1941, and served in Victoria, England, France, Belgium, Holland, and Germany. He was appointed military governor of Hanover, Germany where he set up a new police force and city council, and repaired and reinstituted its municipal services. 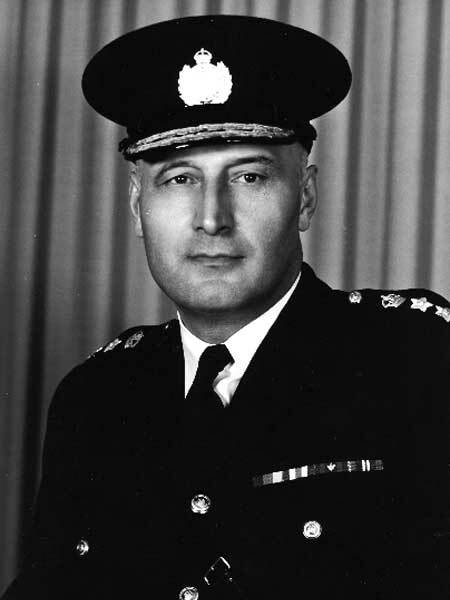 He returned to Winnipeg and the Police Department, and became Chief of Police in 1954. His term was marked by several high-profile disagreements with members of the Police Commission. He was responsible for obtaining a new police building for a growing force and for instituting 999 service, the first dedicated emergency phone number for Canada, which later became 911. Taft resigned from the Police Force in 1965 to run as a Liberal in the federal constituency of Winnipeg North, losing to New Democrat David Orlikow. Two years later, he was elected to the Winnipeg City Council as an alderman for Ward 1. He was re-elected for two more terms, including the first Unicity council in 1971. He gained a reputation as an outspoken defender of the Winnipeg Police Force and the law. He was an Officer of the Order of St. John of Jerusalem, and a member of the Lions Club, the St. Andrew’s Society of Winnipeg (of which he was president in 1960 and 1961), the Masons (Ionic Lodge), and the Khartum Shrine Temple. He died at Victoria, British Columbia on 30 September 1990. “Police chief, politician left mark,” Winnipeg Free Press, 6 October 1990. We thank Shaun Machesney for providing additional information used here.